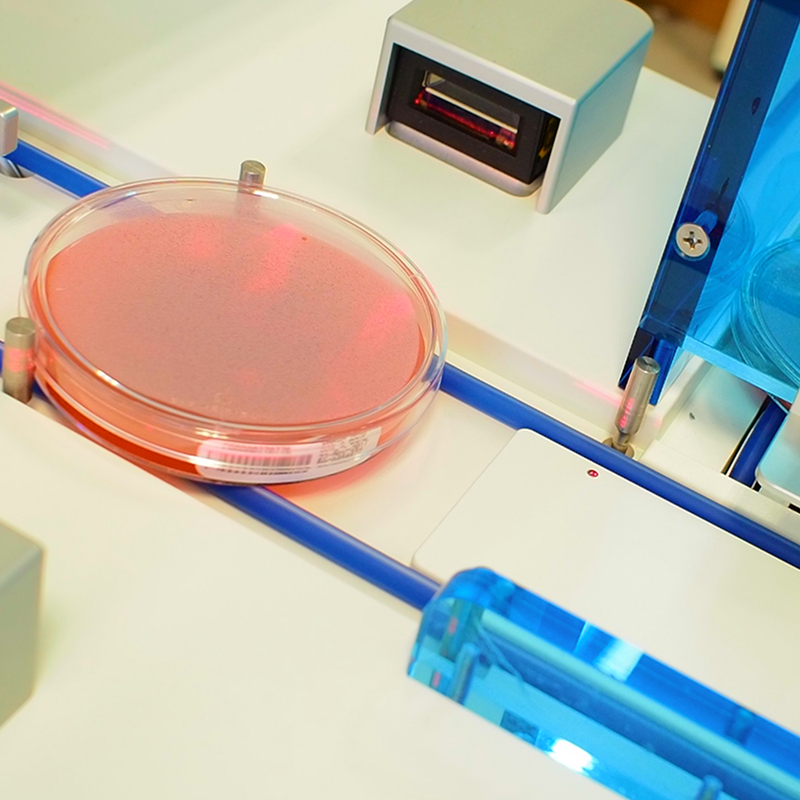 technology thanks to lab automation and paperless microbiology. The Grenoble Alpes University Hospital (CHUGA) leverages innovation and performance to build its development strategy. In this context, the hospital microbiology laboratory has decided to automate its organisation by deploying the BD Kiestra lab automation system designed by BD, together with a paperless microbiology management based on the Technidata LIS (Laboratory Information System). With this large-scale project, the Grenoble Alpes University Hospital is now a pioneer site, among the first French organisations to get such a modern full lab automation environment. “We are currently one of the first University Hospital microbiology laboratories in France to have installed such an innovative and efficient working tool, as the latter enables us to automate numerous analytical processes – streaking, incubating, and reading the cultures. We have several objectives: streamline those repetitive tasks with very little added value, increase productivity, improve traceability and streaking processes standardisation, reduce contamination and error rates. It is an exciting and innovative project that brought together different services within the university hospital: technical and informatics departments, technicians, engineers, and biologists. These technological advances have significantly transformed our profession,” said Dr. Sandrine Boisset, Biologist at the Grenoble Alpes University Hospital. BD KiestraTM laboratory automation system in the laboratory. “More than just an interface between the Technidata LIS and our BD Kiestra lab automation system, our respective teams have strived to truly integrate the two systems: the bidirectional screen synchronisation between the lab automation system and the LIS has significantly improved the working conditions for the laboratory staff”, said Laurent Pinault, Country Business Leader France at BD Life Sciences – Diagnostic Systems France. Thus, microbiologists can easily access the agar images that are stored on the BD Kiestra lab automation system for the digital media reading or for asking for a complementary test, while performing the clinical validation using the Technidata LIS. Yet, it is also possible to use the lab automation system to access the request managed by the LIS, in order to view complementary results, such as those of pre-culture steps or cytology tests. This LIS has been designed with and for microbiologists; it benefits from the editor proven expertise in this field and provides the laboratories with functionalities that perfectly match the specific needs of this discipline. The software handles all the different laboratory processes; sample management, clinical review, protocol customisation, epidemiology, as well as the interfaces with the different microbiology instruments and lab automation systems. In order to make it possible for all the laboratories – including those that do not consider installing a lab robotics system – to leverage all the benefits of the paperless microbiology, Technidata has launched TDBactiLink, a middleware version of its microbiology LIS. This microbiology middleware easily integrates the laboratory organization, and enables the laboratory to benefit from those functionalities dedicated to the discipline in a cost-effective way without changing the existing LIS.